Laminate flooring is one of the most popular flooring techniques out there due to all benefits they bring. Laminate flooring also falls within reach of many people because it is much cheaper than the hardwood moreover; cleaning a laminate floor is much easier than cleaning of a carpet. If you are one of those, who are still confused that whether they should place laminate flooring in their homes or not then you should check out the following reasons that why you should have a laminate floor. Laminate flooring industry has seen remarkable growth, and due to that today, you can find laminate flooring in almost all sorts of materials, which matches your wood, ceramic, and stone or tile floors. Laminate flooring helps you in saving big bucks, which the other types of flooring materials do not for example; you do not need to spend extra on a floor maintenance, which is quite common with the original hardwood flooring. 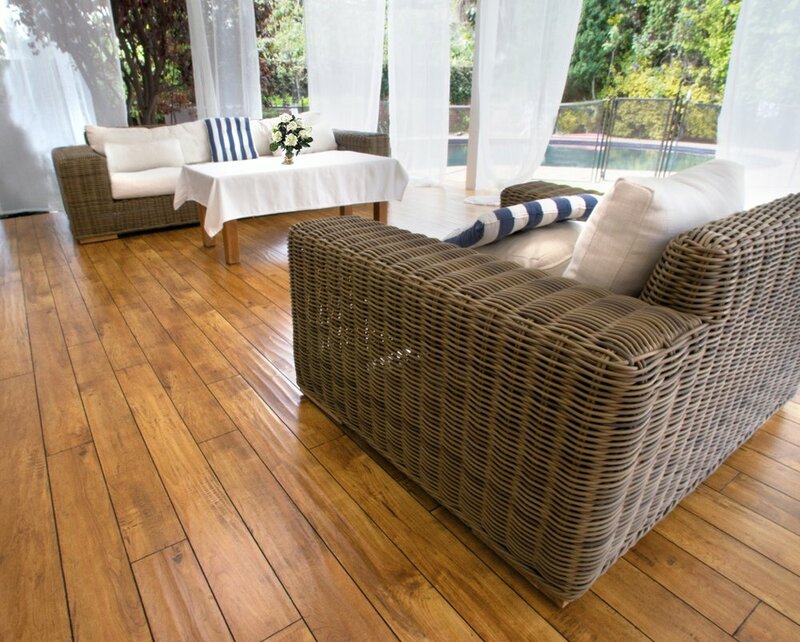 Furthermore, laminate flooring is a lot more affordable alternative for many people. Laminate flooring is also a very good option for those who have small children or have pets because laminate flooring consists of a very durable material available out there. The laminate floors also have a benefit of being scratch and dent resistant. Whether you modify a furniture placement, drop heavy objects, or your pet’s nails make scratches then you are at luck because the laminate floors would not be affected with all of these wears and tears. Laminate flooring is not only able to resist the things, which are mentioned in this article, but also it can resist the ultraviolet rays, which can easily damage a hardwood flooring. Laminate flooring also provides you with an option to save even more money by installing it all by yourself without a help of technicians. It is so easy to install it that each floorboard snaps into a place without a usage of the glue or nails. As we know that laminate flooring is placed above the original flooring, therefore, you can install it on almost any kind of pre-existing floor. You can also save a cost of cleaning the floors because laminate flooring can be cleaned by just using a simple dampened mop or rag to wipe the surface. You also do not need to use the wax, soap, or even the polish to make your floor look shiny. The layer, which is known as the wear layer not only saves the floor from the scratches and dents but also helps in protection from the smudges, which in turn keeps the floor, look shiny. The benefits mentioned above are just some of the many benefits, which a laminate floor brings along with it. These benefits make the customers seriously consider laminate flooring for their remodeling plan. You have to take care of the humidity levels in your house to keep laminate flooring healthy for a long period. For more information about how Quality Home Improvement, Inc can help with your next flooring project, call (800) 275-2154 or click here: https://www.qhiinc.com/flooring-contractor/. Up Next: Can I Put Laminate Flooring Over Hardwood?